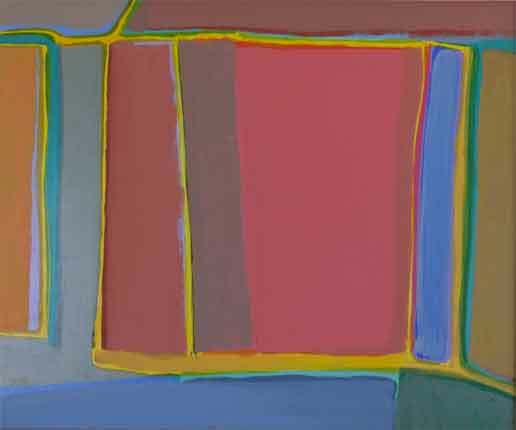 See Line Gallery is pleased to present Elizabeth McCord Paintings, an exhibition of rarely seen and newly discovered paintings from the 1950s, 1960s, and 1970s by groundbreaking California modernist artist Elizabeth McCord (1914 -2008). 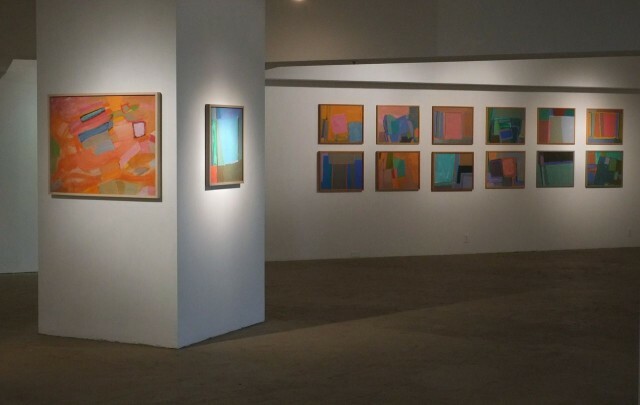 It is the most in-depth examination of McCord’s work in nearly 20 years. Elizabeth McCord was born in 1914 in Dayton, Ohio. From 1932 to 1934, she studied at the Art Institute of Chicago; after graduation, she taught at the Hull House, Chicago’s first social settlement. While participating in the Work Progress Administration (WPA) between 1939 and 1943, McCord created her first mature works, several of which were exhibited in 1940 at the National Museum of Art in Washington, D.C.
Helen Lundeberg, Josef Albers, June Wayne, and Knud Merrild, among others. 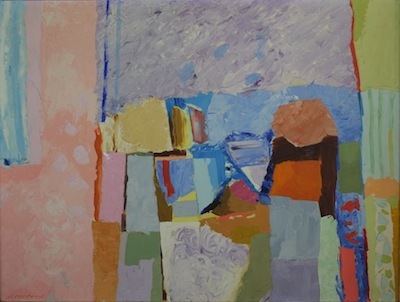 In 2011, the seeds of a McCord revival were planted when her Big Pink (1951; on loan from the Long Beach Museum of Art’s permanent collection) was the only painting chosen to appear in Living in a Modern Way, LACMA’s sweeping, celebrated survey of mid-century California design (which is currently traveling internationally). Big Pink was the only painting in the show.